Our team is made up of professionals who have served Bedford, Nova Scotia and the Greater Halifax area for over 40 years. We strive to benefit our clients through our combined experience and knowledge, while building a relationship based on complete trust and confidence. Along with our dedicated support staff, our lawyers are committed to achieving quality results efficiently and effectively. E.A. Nelson Blackburn, Q.C. is senior partner at Blackburn Law. He has diligently served the Greater Halifax area for over 45 years having been a member of the Nova Scotia Bar Society since 1971. Nelson has diverse experience in many areas of the law including extensive expertise in dispute resolution services and holds a certificate in negotiation and conflict management. He is the Small Business Advocate before the Nova Scotia Utility and Review Board on energy matters before the Board. Nelson is an arbitrator under the Nova Scotia Trade Union Act and is on the Minister’s List of Arbitrators and also conducts numerous consensual arbitrations. He is currently Vice Chair of the Labour Board and serves as a labour arbitrator/mediator under the Nova Scotia Condominium Act and is a Chair of the Board of Inquiry under the Human Rights Act, member of the Pipeline Arbitration Committee under the National Energy Board Act, and Small Claims Court Adjudicator. Nelson’s other specialties include a broad practice of real estate, corporate/commercial, labor/employment and administrative law. He is a former lecturer in commercial law at Saint Mary’s University. He is also an accredited user of the Land Registration System and has served clients in a wide variety of real estate matters. Nelson has held numerous provincial board positions including the Labour Standards Tribunal (former Chair), Insurance Review Board (former Chair), Canada-Nova Scotia Offshore Petroleum board (former Vice-Chair), Psychiatric Facilities Review Board (former Chair), Nova Scotia Taxing Master Committee (former Chair) and Nova Scotia Utility and Review Board (former part-time member). He has been very active in the community, having served with various committees and organizations such as the Bedford/Sackville and District Rotary Club (Past President and Charter Member) the Amalgamation Task Force Advisory Committee for the Town of Bedford (former Co-Chair) and the Neptune Theatre Foundation (former Secretary). Joseph M.J. Cooper has been practicing law since 1972 specializing in the areas of commercial, construction and property litigation. His practice includes construction disputes, builders’ liens, foreclosures, quieting of titles and boundary disputes and vendor/purchaser disputes. Joe also carries on an active practice in property and estate matters and has represented clients in proof in solemn form applications and other estate litigation matters. Joe is an accredited Land Registration lawyer. Joe carries on a limited practice in family law involving the negotiation of separation agreements/marriage contracts and appearances in Supreme Court (Family Division) on custody, access and support matters. Joe has had a wide involvement in community organizations including his local Lions Club and church parish council. He has held executive positions in the John Howard Society (Halifax), St. Leonards Society, and Canadian Parents for French (Halifax Chapter). 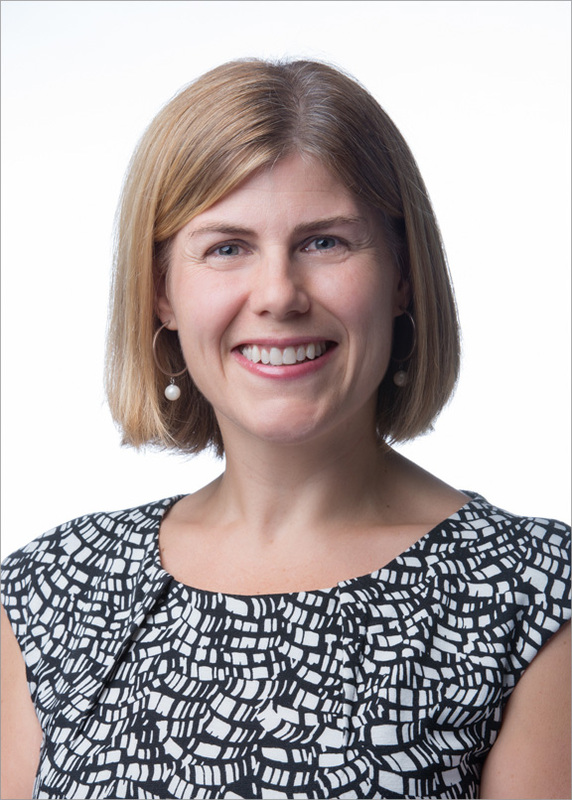 Martha joined Blackburn Law in July 2013, after having practiced law in downtown Halifax for the prior 10 years. During these 10 years of practice, Martha’s preferred area was a general corporate and commercial practice including incorporations, restructurings, family trusts, shareholders’ agreements, share and asset purchases and sales and general contract and lease review and drafting. Martha joined Blackburn Law to seek a more balanced lifestyle. While she maintains a general corporate and commercial practice, she also assists vendors and purchasers in both residential and commercial property transactions as well as assisting clients with preparing their estate planning. She likes to think that she has brought large firm corporate knowledge to the intimacy of a small firm practice. Martha graduated from the University of New Brunswick with a Bachelor of Business Administration in 1999 and Bachelor of Laws in 2002. She was admitted to the Nova Scotia Bar in 2003. Martha is the proud parent of Jack, born in 2010, so has focused her volunteer efforts around him. She served on the Board of Directors for Point Pleasant Child Care Centre, a large, long standing non-profit child care centre in Halifax for 5 years and was Chair of the Board for the last 3 years of her term. Martha is a member of the Nova Scotia Barristers' Society and the Canadian Bar Association. Derek has practiced with the firm since 2003, and operates a general practice of law, with a focus on assisting clients with selling and buying homes and businesses. His most extensive experience has been in residential real estate transactions, and he is a frequent presenter in that area at continuing legal education programs through the Canadian Bar Association and the Real Estate Lawyers’ Association of Nova Scotia. He also has a wealth of experience in assisting clients in planning and administering estates, and has served as an instructor with the Schulich School of Law’s pro bono Wills Project. When disputes arise, Derek is prepared to assist his clients in resolving them as efficiently and expediently as the circumstances allow. He has represented clients at all levels of adjudication in the Province, including the Nova Scotia Supreme Court and the Court of Appeal. Derek has volunteered extensively within the profession and in the community as a whole. He has served on the Nova Scotia Barristers’ Society’s governing council, and on several of its committees, including the Complaints Investigation Committee, Complaints Review Committee, Ethics and Professional Responsibility Committee, Real Estate Practice Standards Committee, and the Task Force on Council Size and Composition. He has served as chair of the Solo and Small Firm section of the Canadian Bar Association, and on its Continuing Legal Education Committee. He is also a former Director of both the Point Pleasant Child Care Centre and the Testicular Cancer Awareness Society. Derek lives in Bedford with his wife, Jacqueline, and their three children. Melissa joined Blackburn Law in October 2015, after 6 years with a downtown Halifax law firm. She graduated from Dalhousie Law School in 2008 and was called to the Nova Scotia Bar in 2009. Melissa's focus is civil litigation, in all its many forms. She has experience in all levels of Court in Nova Scotia, representing clients in business disputes, construction litigation, personal injury, medical malpractice and employment law proceedings. She is ready and able to handle all types of cases, from Small Claims Court disputes, to appearing at the Nova Scotia Court of Appeal. Her focus is working with clients to ensure they understand each step in the process and are able to achieve success. Melissa is a member of the Nova Scotia Barristers' Society and the Canadian Bar Association. She has volunteered as a Civil Procedure Workshop leader with the Schulich School of Law and with the Nova Scotia Barristers’ Society as a Learning Group Facilitator for the articling students’ Skills Course. Janet has a wealth of experience in real estate law, having practised in Nova Scotia since 1979 and two years previously in Alberta. She is an accredited use of the Land Registration System and has served clients in a wide variety of real estate matters. Janet also practices in wills and estates and has extensive knowledge of this area of the law. Janet’s focus on real estate, wills and estates comes after years of carrying on a general law practice and she can provide insight into other matters which may impact her preferred areas of practice. Community and family are important parts of Janet’s life, as she has raised her children for almost 40 years, while serving the public as a valuable member of the legal community and through volunteer work. She has been a member of the Waverley Ratepayers Association, a member of the Shubenacadie Canal Commission, and a Director of Family SOS. Shelley joined Blackburn Law in 2018 to provide affordable, responsive and practical legal assistance to clients in the areas of family law, criminal law and personal injury. For almost 20 years Shelley has worked with clients to reach a negotiated resolution to their legal issues, but at times when this has not been possible, she has litigated matters at all levels of court in Nova Scotia. Having a strong knowledge base in the theoretical and practical application of the law Shelley is often called upon to share her knowledge and approach with others. She is a returning presenter at the National Judicial Institute All Courts Seminar, Federation of Law Societies National Family Law Program, The Canadian Bar Association, and Nova Scotia Legal Aid. In service to her profession Shelley is an elected member of the Nova Scotia Barrister’s Society Bar Council, and a member of the Complaints and Investigation Committee. In service to her practice she was recently appointed to a national committee responsible for education materials on separation and divorce, she serves on a number of court committees, and a member at large, family law subsection, for the Canadian Bar Association. In service to her community Shelley is a regular volunteer. Currently she is secretary for St. Paul’s Home, and is past board member and vice president of the Legal Information Society of Nova Scotia (LISNS)..